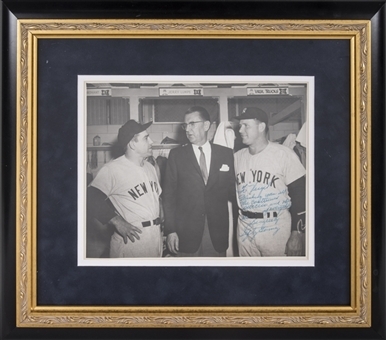 The Hall of Fame ace Lefty Gomez has signed this photograph of Yogi Berra, Virgil Trucks, and himself. The picture was likely taken in 1958, during Truck’s lone season with the Yankees, and shows Berra and Trucks wearing their gray Yankees road uniforms while Gomez is dressed in a sharp suit. 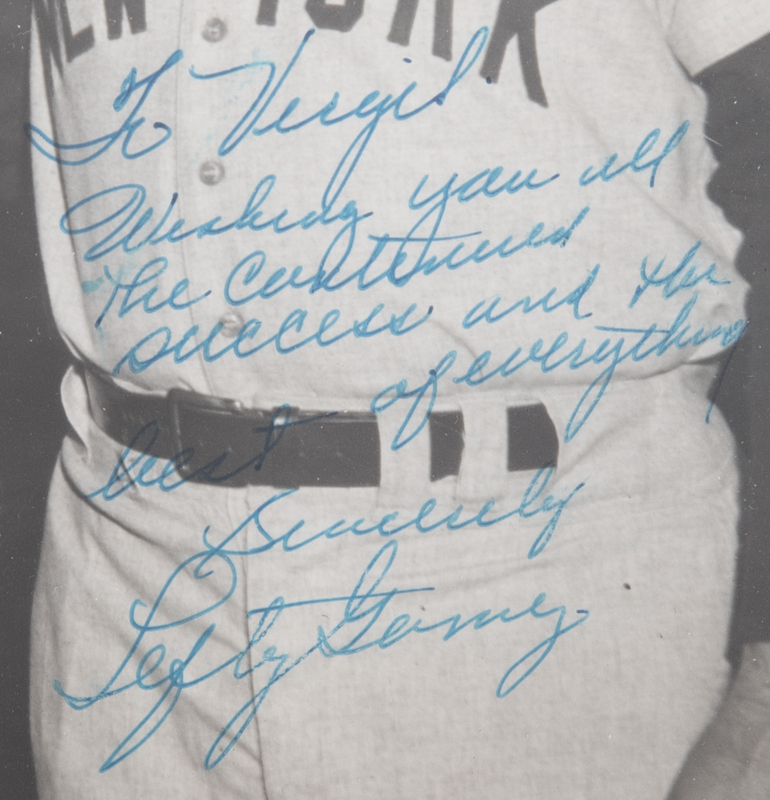 Gomez has signed this photograph in blue pen, inscribing “To Virgil / Wishing you all the continued success and the best of everything / Sincerely, Lefty Gomez”. The photograph measures 8 x 10 inches and it comes in a 17 x 15-inch framed display. 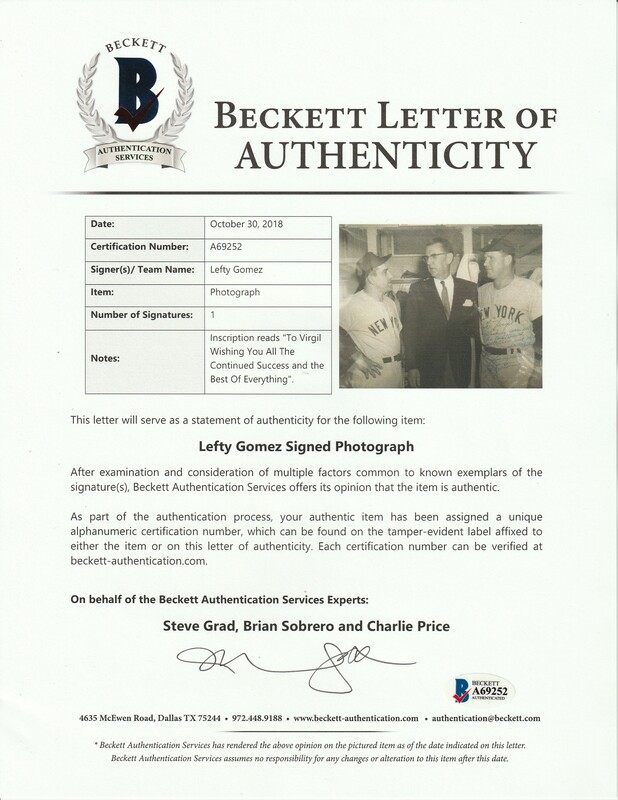 This item is accompanied by a LOA from Steve Grad of Beckett Authentication (A69252).